From the original Constitution of the LCMS. 1. To stand guard over the purity and unity of doctrine within the synodical circle, and to oppose false doctrine. 2. Supervision over the performance of the official duties on the part of the pastors and teachers of Synod. 3. Common protection and extension of the church. 4. Publication and distribution of a church periodical. 5. Conscientious examination of candidates for the ministry and teaching profession. 6. To provide for ecclesiastical ordination and induction into office. 7. The preparation of future preachers and teachers for service in the Church. 8. To provide for congregations without pastors, if the former apply to Synod. 9. To give theological opinions, also to settle disputes between single persons or between parties in the congregations. But the latter is to take place only in cases where all persons involved have applied to Synod for arbitration. 10. To strive after the greatest possible uniformity in ceremonies. 11. To have concern for the faithful execution of all the duties of the ministry, especially of the truly evangelical cure of souls in all its branches; in this respect also to help advance sound catechumen instruction above all, and especially with reference to the false doctrines of the prominent sects; also to institute and maintain catechizations every Sunday for the, confirmed youth. 12. To support indigent congregations who are members of Synod, that they may obtain the regular service of a pastor. 13. To gather church statistics within Synod and also to start a chronicle of American Lutheranism. 14. 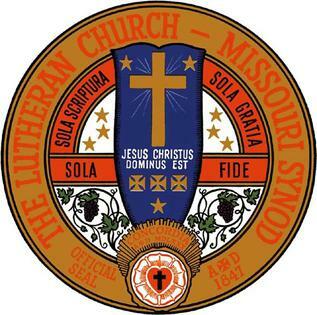 To establish connections with the Lutheran Church in foreign countries, especially Germany. How is this different from the current constitution of the LCMS? Would someone show me which of these “businesses of synod” address social gospel/ministry? I am not opposed to helping those in need – in fact, believe very much in love for the neighbor – but I do not see where the synod was formed to do this. Perhaps this is addressed elsewhere in the constitution? Yet, with the renewed emphasis on world relief and human care by our current synodical President and others, we are aware that even amid State run social programs, needs aren’t being fully met, the Gospel is often hampered in some situations from being shared and there are a lot of broken homes and systems out there. So, it would have been an understood component of caring for indigent congregations, supporting the local pastor, extending the Church, et al to do this through both meeting the needs of both body and soul. So, in the re-emphasis on the deaconess office in the LCMS, the emphasis on human care and so forth as a (not by any means, the only) means by which the Gospel is put in people’s hearing, we’re returning to what the Church for centuries (including our synod’s founders) saw as an understood part of the total package. Of course, central to everything is the preaching of Jesus Christ and Him crucified which, by extension through preaching and teaching, refutes error. One good way on a lay level to understand how these things fit all together is read things like 1 Cor. 16:1-4, Acts 6:1-2ff, 2 Thes. 3, et al. Pres. Harrison’s columns in the Lutheran Witness have done a great service in discussing your question in a contemporary perspective. Courageously brand spirit-filled best practices.